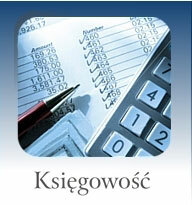 We are happy to inform you that the process of implementing our new bookkeeping-financial system is being completed. The purchase and implementation of the system has been enabled by the European Union financial support within the framework of European Regional Development Fund Innovative Economy 2007-2013 Measure 8.2. Support for the implementation of electronic business of the B2B type. 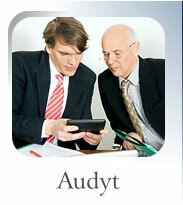 The FBR (Statutory Auditors Company) Mazur i Partnerzy was established in 2009. The main owner and founder of the company is a statutory auditor Maciej Piotr Mazur who had worked for ten years in the FBR Mazur i Jabłonski Sp. z o.o., where he held the position of Vice-President. The company members are statutory auditors with high professional qualifications, creditable achievements and a wealth of expertise in auditing, bookkeeping as well as financial accounting consultancy gained over years also in one of the biggest auditing companies in the Podlaskie Voivodeship. The staff of our accounting firm are young, qualified accountants having experience in bookkeeping and tax records as well as HR and payroll services. We also employ a tax advisor who has a few years' experience in the Tax Chamber jurisdiction related to income tax as well as an HR and payroll specialist with 13 years' professional experience. 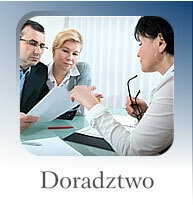 We cooperate with specialists for different fields, including law, insurance or information systems. They put their knowledge and experience continuously enriched through participation in professional training, workshops and courses at your disposal. The FBR Mazur i Partnerzy Spółka z o.o. is covered by professional liability insurance for its activities. The company has been entered in the list of business entities entitled to examine financial statements under registration number 3515. YOU ARE KINDLY INVITED TO START COOPERATION WITH US!.